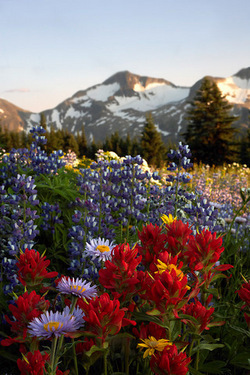 Clearwater and Wells Gray Country is all about experiencing the Canadian wilderness, of open space, wildlife, waterfalls, lakes, rivers, alpine mountains and above all, the freedom and the means to enjoy it all. Canoe on lakes so clear you can see the bottom, walk in alpine flowers up to your knees or spend time around the campfire with friends and family. If this is what you and your family long for, Wells Gray and Clearwater is for you. Your first stop should be our beautiful and friendly Visitor Centre. The staff love this area, and love to talk about what there is to do. They will also help you make the most of your time here in Wells Gray, and can make bookings for you free of charge. 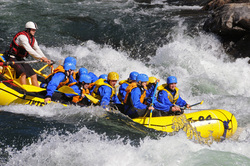 Wells Gray and Clearwater have a lot on offer that can easily fill a week. From a self guided tour of Wells Gray Park, to guided adventures such as whitewater rafting, wildlife tours, canoeing, hiking and horseback riding, you can even play a round of golf and enjoy the spa. Watch the Salmon migration at Baileyâ��s Chute and Raft River Viewing Platform and learn about First Nation heritage at the North Thompson River Provincial Park. 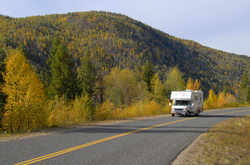 Wells Gray is a motorhome / RV paradise, where you can find all the amenities you need, from full hook ups to wide parking areas at all the key highlights. If you like something a little different, there are cabins, lodges, guest ranches, hotels, motels and B&Bâ��s to suite your familyâ��s budget and needs. Winter is a lot of fun too, with activities such as ice-fishing, snow shoeing, ice skating, hockey matches. Enjoy fantastic cross country ski trails at the Candle Creek ski trails 10 minutes from Clearwater, and along the Murtle River in Wells Gray Park. about the volcanic history of Wells Gray. canoe only lake in North America! Clearwater and North Thompson River. moose to osprey and bald eagles. are cater to all abilities. views at Rainbow Falls on Azure Lake. enjoy a buffalo steak or two. local guide offering expert advice.